You’ve seen it already in retail stores, ads and online… Christmas is coming! 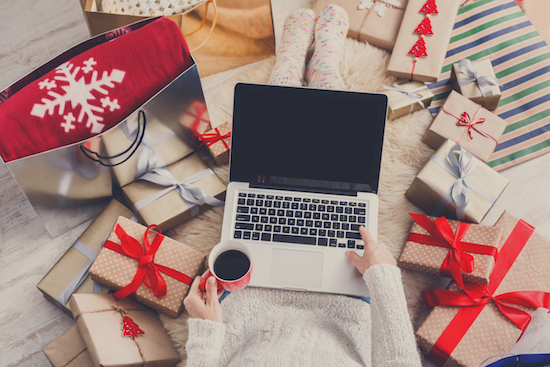 Shopping season is gearing up, which means it’s high time to get some holiday campaigns in order for your business. Bright lights, crisp filters, promo codes and gifts galore are heading straight to the Instagram feed, making it the best Instagram Christmas ever! 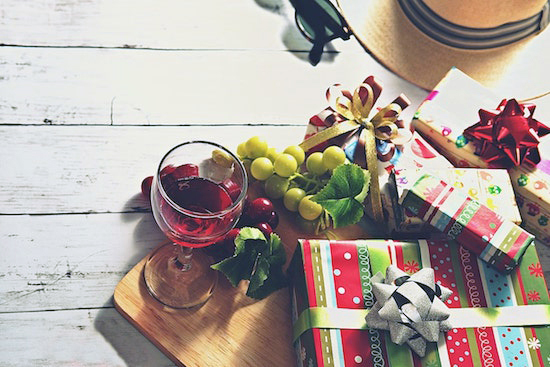 Every year now, Instagram Christmas becomes an important marketplace; the visual aspect of the platform is great for helping consumers choose the perfect gifts. 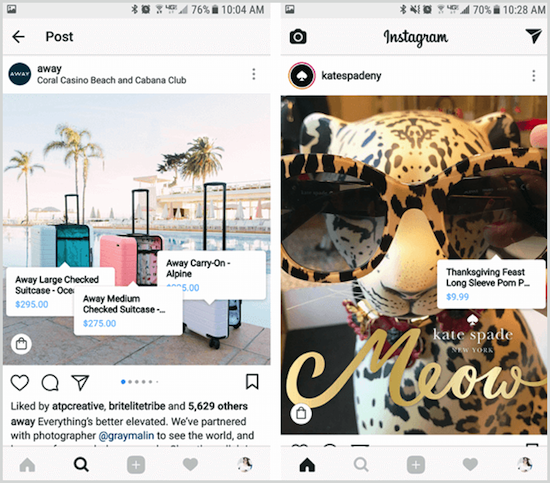 Instagram has rolled out several new features that will further help brands turn their profiles into digital shop-fronts this holiday season. Gen Z shoppers (between the ages of 17 and 22) will be browsing their Instagram and Snapchat accounts in search of gifts, with 16% of people who are planning to shop online this holiday season actively choosing to shop on their smartphone (up from 12% just a year ago). With Instagram being a predominantly mobile-based app, we can assume that consumers will be using it while out and about and drawing a lot of inspiration from it. 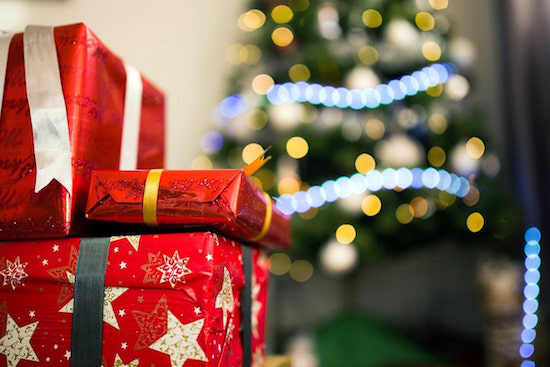 How can your business make the most of the platform this holiday season? Before you start posting, it’s important to put a plan into place — ideally including some marketing before Black Friday rolls around *(Major key)*. This is because people research gift ideas, sometimes up to a couple of months in advance. That means the time is now, so let’s dive into how you can use Instagram to your best advantage this Christmas. This is Step 1 because if you haven’t already set up Instagram product tagging, you need to do it, like, yesterday. What this means is that if you include a product in one of your Instagram images, you can tag it so that your followers know it is there, and they can click on it and purchase it from a designated landing page that they’re taken to. To set this up, you’ll need to have converted to a business profile on Instagram. When you’re ready to create a shoppable post, click the tag products option on the Share screen once you’ve selected a photo. Choose the products, enter their names, tap done and share. For a more detailed guide on creating shoppable posts, check out our in-depth guide here. According to a survey by PwC, 55% of Gen Z consumers said they listen to influencers whose lifestyles they aspire to. Having some key players in your industry that are on board with your products can sell serious holiday stock for you. Influencers can be key in guiding purchase decisions, particularly on such a visual platform like Instagram where consumers can literally see what their lives could look like with your product. Again you’re going to need to plan this out early in the season, as the most engaging influencers will get snapped up quickly. Armani Beauty teamed up with a selection of influencers at Christmas to promote their products as great gift ideas. You can also create whole influencer campaigns, where you map out an entire strategy with a couple of big players and plan the content they’ll put out for you well in advance. 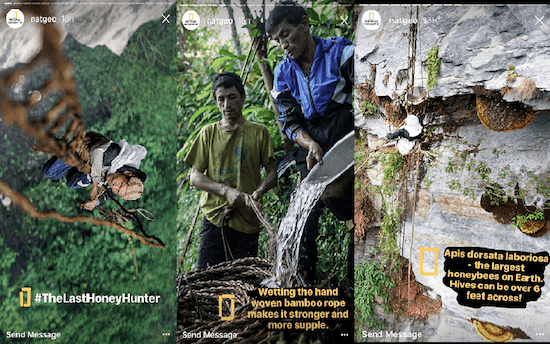 Instagram Stories have taken off (but you already knew that, right?!). They provide a raw look; Insta-snapshots of brands and influencers like never seen before, and people love them. If you’re not already using them, what have you been doing?! As the holiday season approaches, it’s the perfect time to create deeper connections with potential buyers by sharing more meaningful Stories. And, thankfully, Instagram has now removed its 15-second Story limit — well, kind of. If you want to share a video that’s longer than 15 seconds, Instagram will segment it into shorter snapshots and share it that way. Take National Geographic, as an example. They regularly use Stories to tell narratives from all over the world, breaking them up into bite-size clips and glimpses so viewers can eat them up. While we’re on the topic of Instagram Stories, let’s talk about GIFs. GIFs help bring your Stories to life and add a personal, fun touch to whatever it is you’re sharing. As this season is a time for getting festive and having fun, injecting your Stories with dancing snowmen or mesmerizing flurries can help get customers in the holiday mood. 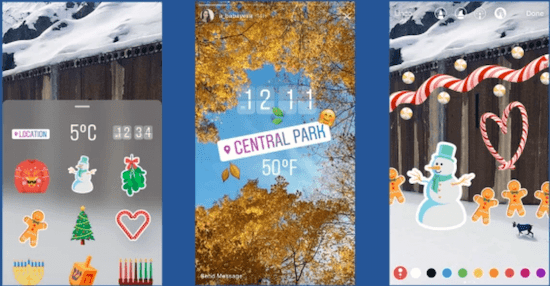 You can try adding a small holiday-themed sticker to your post for a festive feel, or you could even create an entire holiday scene from scratch using just GIFs — the possibilities are endless. Brands that see the most success during the holidays have planned their campaigns far in advance. While we’re all sipping daiquiris by the pool in the blazing July sun, these guys are coming up with their Christmas campaigns. 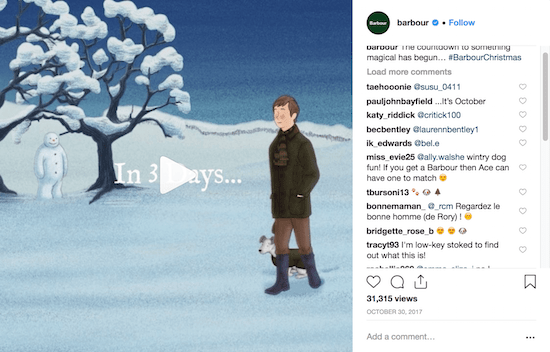 If you take a look at Instagram content made by the likes of Barbour, Mulberry, John Lewis, and Nordstrom, you can see that a lot of time, effort and thought has gone into each and every post. Even this extremely short animation would have taken a sweet while to create, and they’re promising some more in three days. Basically, this isn’t something that would have been whipped up as a spur-of-the-moment share. This was planned out, designed, and executed over a period of many months. Which means that if you haven’t started planning your Instagram holiday campaigns, what the heck are you waiting for?! The holiday season is a time to relax, so why make things any harder for yourself? Do you really want to have to worry about posting that picture of a well-dressed glass of eggnog at exactly the right time on Christmas Day, when, in reality, you’re going to be full of turkey and stuffing, and probably eggnog? Therefore, once you’ve planned and created your holiday content, it’s time to map it out on a calendar. 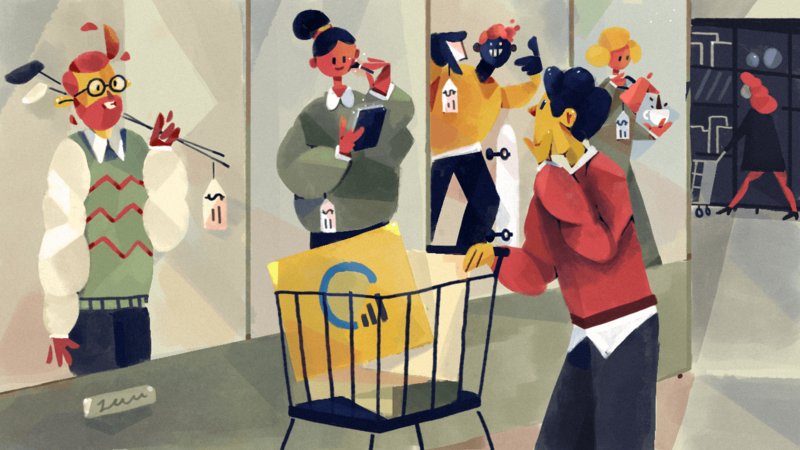 Think ahead about what sales you’ll run for Black Friday, and also what you’ll do to keep customer attention post-Christmas. In the lead up to the holiday season and when it kicks off, people are often preoccupied with Black Friday. Most brands are trying to get the details on their Black Friday sales nailed down and are often so busy thinking about ways they can maximize their profits that they completely forget to think about and create a solid plan for their after-Christmas sales. However, by giving an equal amount of effort to the different parts of the holiday season, you can leverage the best results and get a leg up on your competition. While your competitor is putting together last-minute Black Friday Stories to entice anyone who hasn’t yet bought from them, you’ve already created and scheduled that content and have moved on to creating emotional Stories and shoppable posts for post-Christmas buyers. The last step of the buying process won’t happen on Instagram. Sure, consumers will find your products, share them with their friends, and click through from your shoppable links while in the app, but the actual part where money changes hands will take place outside of Instagram. Which is why you need to make sure your mobile checkout experience is flawless. The holiday season is a hectic time of year; people are often stressed and they don’t have the time or patience to try and navigate a clunky cart process. 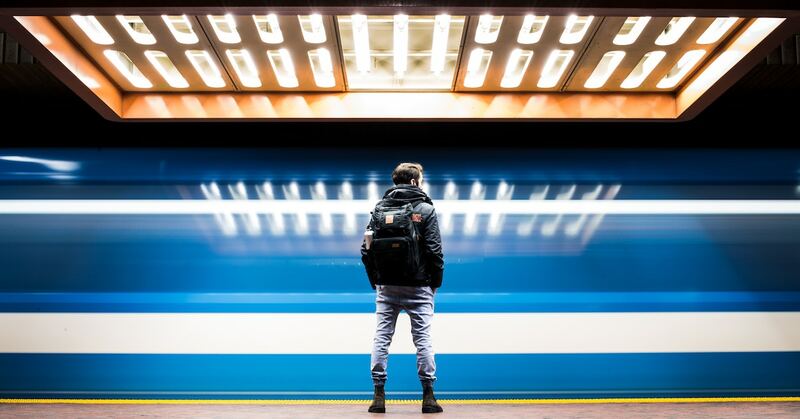 Before you release your campaigns into the wild, go through the entire buying process from start to finish on a cell phone and ask yourself whether it’s seamless or if anything could be improved. 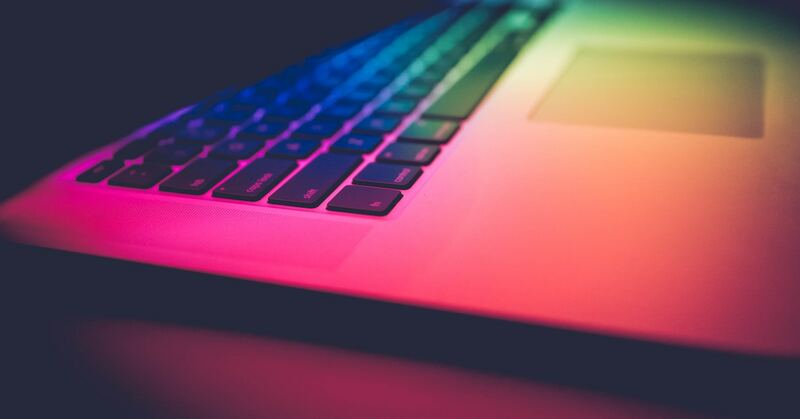 When your campaigns have started running, you should regularly dive into Google analytics to see where people drop off in your sales funnel and whether that varies between mobile and desktop — if it does, how can you change that? Remember: if you’re putting time and energy into Instagram, you need to put effort into your mobile site too. Instagram is just the start of the funnel for you and your consumers, and it’s important to think about the bigger picture. 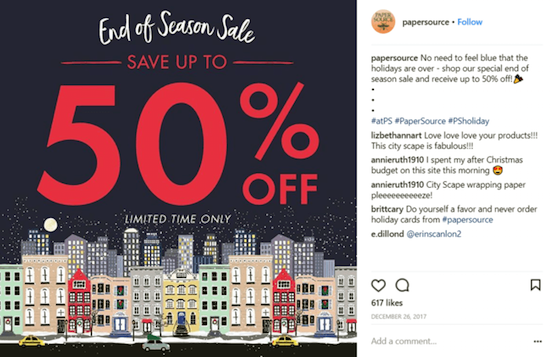 Save yourself some time (use it for festivities and fun) this holiday season by scheduling and planning your Instagram campaigns — this is a valuable opportunity to increase your sales and maximize profits! With so many different sales and gift-buying events on the horizon, it’s time to get your Instagram in order and start showing off all your awesome products to new audiences. By making the most of Instagram, you can quickly connect and engage with your audience and make more sales — then kick back with a glass of mulled wine and enjoy the holidays yourself. 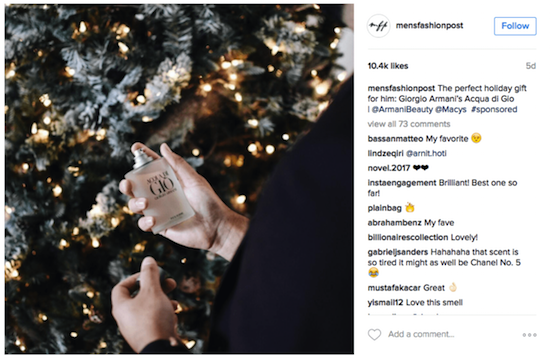 What brands make your holiday season bright on the ‘gram? Share with us below in the comments!